Set in the foothills of four mountain ranges, in a valley rich with riverbeds and pristine trout fisheries, Bozeman, Montana is distinctively different. The seat of Gallatin County, Bozeman balances small town charm with enriching offerings more characteristic of a larger, metropolitan area. Farmers, ranchers, university students, artists, world-class researchers, outdoor adventurers, culture enthusiasts and entrepreneurs all contribute to make Bozeman an “All America City”. From the wagon train miners of the 1860s to today’s entrepreneurs, Bozeman’s location continues to attract people seeking economic opportunity. Recognizing the agricultural potential of the Gallatin valley, John Bozeman directed William Beall and Daniel Rouse in 1864 to stake out the site of what would become Bozeman. Initially, Bozeman enjoyed a slow, steady growth with ex-miners abandoning their dreams of gold for farming and supplying western travelers. Bozeman more recently has experienced exponential growth yet continues as a leader in the state in agriculture and tourism as well as the expansion and remodel of Gallatin Field Airport located just a few miles from the Bozeman City Center. Established in 1893 as Montana’s land grant college, Montana State University educates over 13,000 students annually and is the home of the world-renowned Museum of the Rockies. The National Register of Historic Places lists nine historic districts in Bozeman including Downtown’s Main Street. A modern day stroll down Main Street presents an eclectic mix of more than 100 shops, coffee bars, restaurants and art galleries all housed in turn-of-the-century buildings of architectural significance. The art and cultural scene in Bozeman is as varied as the town itself. Home to many talented artists and writers, Bozeman hosts a Silver LEED certified library, the Bozeman Symphony, Montana Ballet Company, Intermountain Opera, several theatre groups and the Sweet Pea Festival. Bozeman celebrates its farm and ranch roots with Bozeman Roundup, Montana State College rodeo, Gallatin County Fair and the Wild West WinterFest. The recreational elements of this area feature proximity to Yellowstone National Park with thousands of Gallatin National Forest acreage in the immediate surrounding area. Bozeman has a wonderful trail system that links walkers and bikers from Main Street literally to the Mountains. Anglers and boaters share pristine waters with hundreds of river miles to enjoy. Hikers, bikers, and equestrian enthusiasts all benefit from the plethora of multi-use trails in the vicinity. Golfing is gaining in popularity with many private and public courses. Winter sports also offer something for everyone: skiing Bridger Bowl just 16 miles northeast of town, ice climbing area waterfalls or Nordic skiing and snowshoeing. Looking for local government information and utilities? Visit our Local Resources page for more information and community links. Equal Housing ©ERA Landmark Real Estate 2014. All rights reserved. Robyn Erlenbush CRB, Broker/Owner. 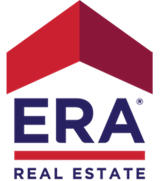 Each ERA Office is independently owned and operated.